Similar card style to the previous "Ray of Sunshine" Tuesday Challenge entry - basic 6 x white card stock, covered by three DCWV adhesive strips. Various embellishements added (do love the little crabs! 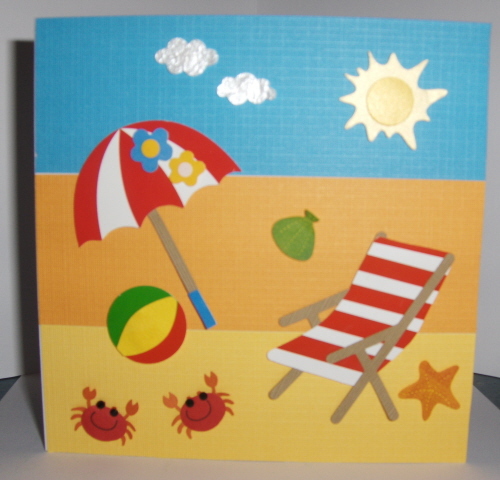 lol) and hey presto - summer in card form!